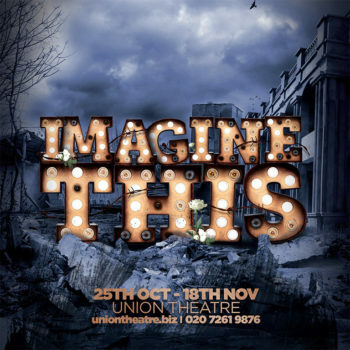 Casting has been announced for the Union Theatre’s production of the musical Imagine This which returns to London later this month, almost 10 years after its first performance in the West End. With music by Israeli-American composer Levy and American theatre and film lyricist Goldsmith, the musical debuted at Plymouth Theatre Royal in 2007 ahead of a West End run at the New London Theatre in 2008. The production will be directed by Harry Blumenau and play the Union Theatre from 25 October-18 November with an opening night on 27 October. 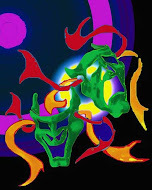 The full cast includes Nick Wyschna as Daniel Warshowsky (Eleazar); Lauren James Ray as Rebecca Warshowsky (Tamar); Daniel Noah as Leon (David); Abbey Addams as Sarah (Naomi); Gareth Davies as Adolph Warshowsky (Caesar); Shaun McCourt as Adam (Silva); Rob Hadden as Otto (Rufus); Rebecca Ferrin as Lola (Salome); Richard Dawes as Jan (Aaron); Robert Wilkes as Izzy (Pompey); Conor Anderson as Jacob/S.S. Officer; Jonny Muir as Captain Blick; Lily de-la-Haye as Hannah Warshowsky; Laurel Dougall as Esther; Albert Linsdell as SS Officer/Roman Soldier and Andrew Cannon as SS Officer/Roman Soldier. Set in Poland in 1942, the musical follows the fortunes of a group of actors as they stage a play in the Warsaw ghetto to inspire hope within a community overshadowed by the horror of Hitler’s Germany. But with rumours of a Final Solution in the air, their play merges with the reality they are trying to escape and a dramatic love story unfolds. It is a story about ordinary people facing impossible choices and making heroic decisions. The Union’s Sasha Regan will produce with choreography by Kevan Allen, musical direction by Alex Williams, musical supervision by Lee Freeman and design by Justin Williams.